The stunning translucent waters of southern Croatia offer one of the most wonderfully enticing seascapes from which to embark on an island-hopping cruise of the Adriatic. 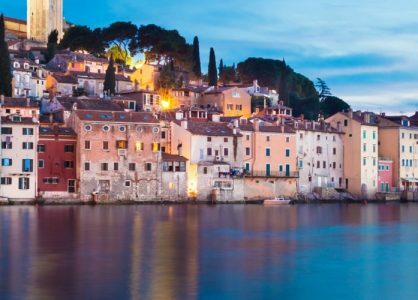 Croatia cruises offer everything from the architecture-rich Dalmatian city of Split to the beach-jewelled islands of Hvar and Brač, where you’ll explore stunning harbours, pristine bays, old walled cities and world-class restaurants. 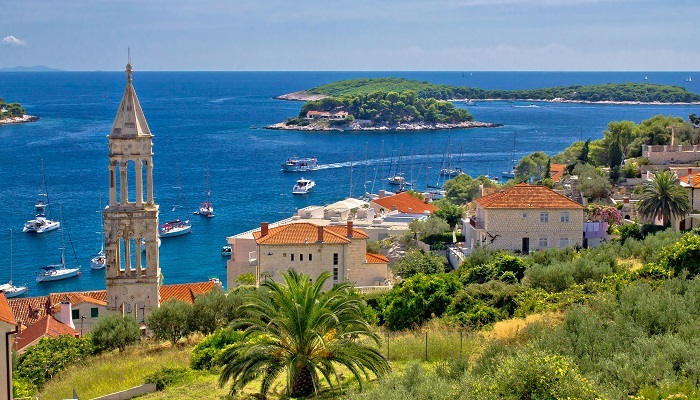 Read on for our 6 favourite islands and cities to visit on a Croatian Islands Cruise. 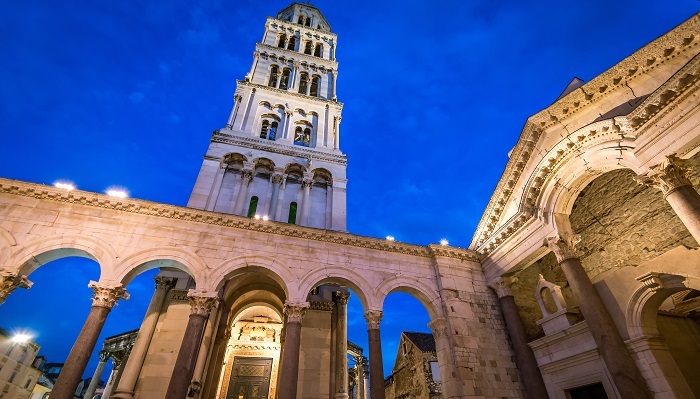 The stunning UNESCO-listed Diocletian’s Palace forms the central attraction in Split. The ancient Roman monument takes up about 50% of the old city and is filled with a superb and lively collection of bars, restaurants and shops as well as a veritable maze of underground temples and walkways from where it’s possible to see the original foundations of the palace. 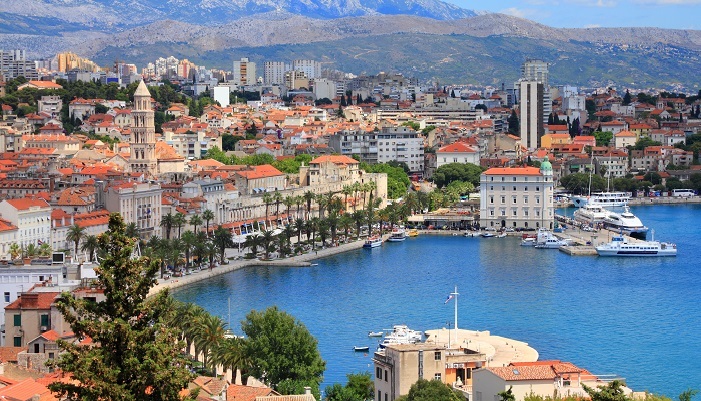 The rest of Split is a pleasing cocktail of history and modernity – with historical monuments, architectural curiosities and fantastic restaurants sitting alongside tranquil beaches and a vibrant nightlife that encompasses everything from all-night clubs to al fresco street parties amongst the ambience of the city streets. 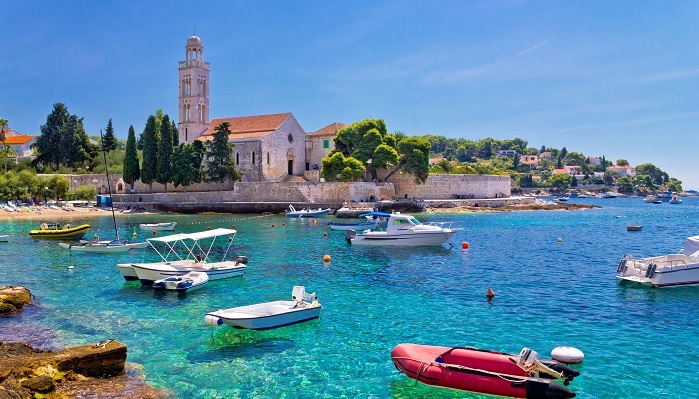 With its world-famous beaches and stunning villages, Brac is a favourite amongst those indulging in small ship cruises in Croatia. The horn-shaped Zlatni Rat beach that curves into the Adriatic at Bol is the most renowned of the island’s beaches, while the idyllic bay at Vela Farska a little further west is one of our favourites with its pebbly beach and quiet, away from the crowds feel. There’s a delightful collection of towns and villages to explore on Brac, as well as mile upon mile of beautiful countryside lush with pine forests, rosemary fields and vibrant fields of flowers. With an average of 7.7 hours of sunshine a day, the paradisiacal island of Hvar is known as one of the sunniest places in Europe. To work on the tan we suggest making stops at Dubovica beach and the otherworldly white sand fringed beaches of the Pakleni Islands that are just off the coast of Hvar, easy to reach by boat and a perfect addition to your Croatia cruise itinerary. Nature lovers and foodies on the other hand should head inland to explore the vineyards and fruit orchards, or the medieval streets of Hvar Town to indulge in the local delicacy of grilled squid drizzled in rich, delicious olive oil – sourced from local olive groves of course. The island of Vis was once closed to public visits and as such has managed to hold on to much of its historic charm – from quaint little villages scattered around the island to the eclectic architecture found in Komiza town – which includes a Venetian fort, a Gothic Church and an abandoned military base. Vis Island is perfect for those who prefer that their beaches come with rustic, natural charm to crowds and lots of facilities. Our favourites include the stunning Stiniva beach that is bookended by jagged, rocky mountains, and the tranquil Stoncica beach that looks out to an equally tranquil inlet, and is home to a small collection of villas peaking over the water. The beautiful island of Korcula with the small walled town of the same name is always one of our favourite stops on a Croatia cruise. Lush with vineyards, olive groves and hills cloaked in pine, Korcula is one of the Adriatic’s greenest and most inspiring islands. Korcula has a wondrous collection of beaches and small picturesque coves with hidden caves and remote access points – many of which are empty for much of the day. Dubrovnik’s beautiful architecture and its divine marble streets set the scene for what is one of the world’s most delectable walled cities. The Dubrovnik harbour is a great place to get a feel for the city in an al fresco café or restaurant, while the photogenic old town is filled with red-roofed houses, baroque architecture and great shopping spots such as Strada – the main high street and Sv. Dominika bb where you’ll find Maria Store – one of Croatia’s first ever multi-brand designer fashion boutiques. 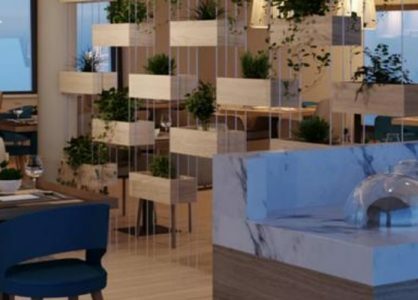 The city really starts to come alive at dusk, when the streets are lit in a dim orange glow and the streets of the old town play host to Dubrovnik’s ultimate al fresco drinking and dining experiences. 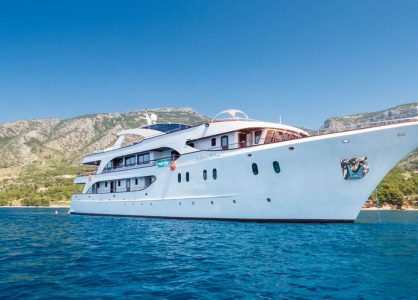 Unforgettable Croatia offer a wide selection of Croatia cruises including small ship cruises, luxury cruises and one way cruises. To find out more, speak to one of our Croatia experts about your next holiday on 0208 004 2345.